The scabies rash is notoriously known for its aggravating itch. The cause of the rash is a mite named 'Sarcoptes Scabiei' which burrows itself underneath the skin. Intense (almost unbearable) itching of the skin surface, often worse at night or following a hot bath or shower. A red rash or pimple-like marking to the skin which can look and be confused with eczema. In more complex cases the skin can become scaly. The rash can be found on other parts of the body, however if affected in any of these areas, it is more likely to be scabies, particularly if twinned with the recognizable itch. The scabies skin infection is a difficult one to confirm. A trained medical eye may be able to make a diagnosis by simple examination of the rash and understanding of reported symptoms. Alternatively in some cases a 'burrow' may be observed making the diagnosis of scabies more likely. Scrapings of the affected skin may be collected; these are then sent to a medical laboratory and examined under a microscope to look for presence of the scabies mite. Scabies is a skin problem passed on by prolonged skin to skin contact with an already infected person. In rare scenarios scabies can be passed on by the simple sharing of bath towels or sharing a bed with an infected person. The rash that is caused by scabies is triggered by an allergic reaction to the mite. The rash itself does not appear until between two and four weeks after initial infection. It is crucial to seek treatment immediately when a case of scabies is suspected, in order to avoid the risk of further spread of the highly contagious skin infection. Fortunately treatments for scabies can be purchased over the counter, without the need for a doctor's prescription. The pesticide treatment for scabies must be applied to the entire body, even areas not affected by the the rash. This ensures that any areas which are still in the 'incubation' period are treated before the rash develops. Treatments are usually in the form of a cream of lotion. It is usually recommended that the treatment be repeated in full, seven days after the initial treatment to ensure that the mite has been entirely removed from the body. As well as treating the body, it is also crucial to decontaminate any other potentially contagious areas. Bed linens and towels must be washed on high heat to remove any presence of the scabies mite. Those living in the same household as an infected person must also be treated as they may too have acquired the scabies infection but not yet have the visible symptoms. Calamine lotion is commonly used to offer relief of the irritation of the scabies skin rash. Calamine works in a soothing fashion and should not be confused as a treatment to cure the condition. The most effective way of preventing the scabies infection is to avoid contact with infected people. This also includes exercising caution with sexual practice, by means of using condoms as a protective barrier. Scabies is commonly known to be passed on by sexual contact with an infected person. 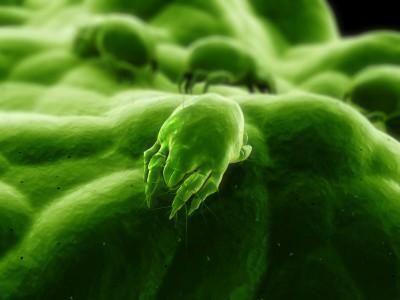 The genital area is a common hiding place for the scabies mite. Maintenance of good hygiene practice is essential. This includes regular and thorough hand-washing, including attention being paid to cleaning in between the webs of the fingers and the nails.